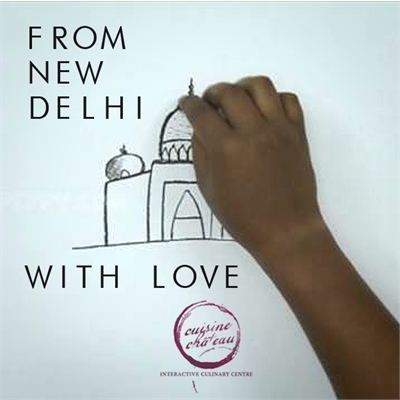 From New Delhi with love.. The origin of the word "curry" is believed to come from the Tamil word "kari" meaning a spiced sauce or stew.. This class includes a recipe booklet, a three-course meal with wine sampling or non-alcoholic beverage, and a customized kitchen utensil to take home!